Winter can be a bit dreary so it is fun to make a winter craft using natural elements. In this class we will cover a jar with twigs. Inside there will be pine cones and fairy lights. 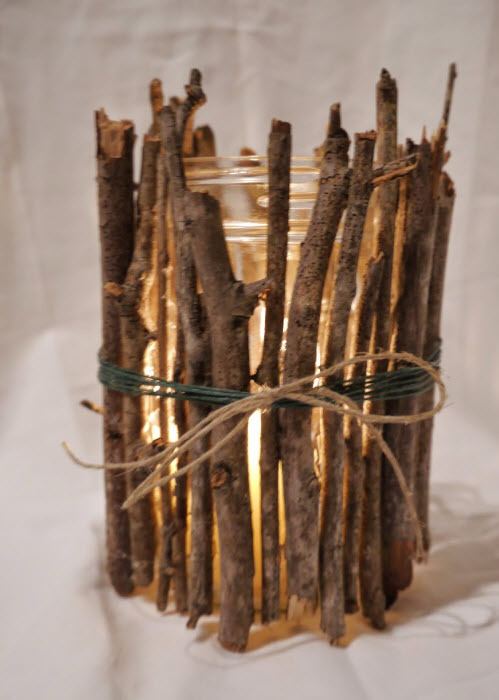 Depending on how close you glue the twigs on the jar, these can be used as a night light. You can also use twine to create a hanging jar. In the summer you can use it as a flower vase. This class is for adults and requires registration.